It’s a good question. After all, you probably wouldn’t accept a job offer before being told an hourly wage or salary. And who would shop at a grocery store where none of the items were priced? Unlike a simple transaction of purchasing bread and bananas, however, a personal injury case is much more complex. If you call an attorney and he or she refuses to give you a dollar amount for the value of your case, you’ll probably feel frustrated. Isn’t that their job? Why are they withholding that information? Your instinct might be to keep calling different firms until you find one who will promise the numbers you think your personal injury claim will be worth. 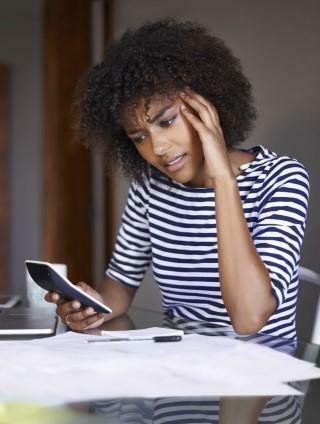 Some legal websites even offer an “online calculator” which spits out an estimated settlement amount after you submit the details of your car accident and injuries. Why Shouldn’t I Use an Online Calculator? The truth is that no personal injury attorney, regardless of skill or experience, can determine the settlement amount you should receive simply by listening to the details of your accident. In fact, any attorney who is willing to make that type of promise during an initial consultation is probably not someone to trust with your personal injury case. After all, it’s more than a legal case; it’s your life. How Is My Settlement Value Calculated? A personal injury claim involves quite a few people: the victim, the at fault driver, attorneys, and multiple insurance adjusters. While it is true that most insurance companies use a baseline “formula” to determine the initial settlement amount they are willing to offer the accident victim, that’s simply a starting point to begin negotiations. An experienced personal injury lawyer knows how to negotiate in your favor based on the facts of your case. No two car wrecks are alike, and no two victims will suffer identical injuries or complications from the wreck. A number of variables will influence settlement amount for your specific case, and it takes time for the attorney to identify those variables and determine how they impact your claim value. At fault driver’s negligence – was it a simple error in judgement, or were they driving under the influence or acting with deliberate negligence? Instead of looking for a personal injury lawyer who offers quick numbers, look for one who offers a free consultation, patiently answers your questions, and works to help you feel comfortable before asking you to sign any contracts. Car wrecks can wreak havoc on your life; you need an attorney who will negotiate to ensure that your settlement will cover your expenses and meet your long-term needs. You will never find a personal injury value calculator on our website. Taylor King and his associates will never claim to know the value of your case during a consultation visit. Instead of offering fast or flashy answers, our promise is to invest time and work into what matters: results. That’s what it means to be on your side, by your side. Call 800-227-9732 if you or a loved one has been injured in an accident and need legal representation.